As bleak as Limerick may have seemed in Angela's Ashes, there is a lot of life and colour and creativity to this city. There are beautiful painted doors, hidden gardens and colourful flowers, which brighten up the stereotypical overcast Irish weather. My favourite thing to do in any city is to walk around and take pictures with no particular agenda, but there are two sites in Limerick that I definitely recommend. 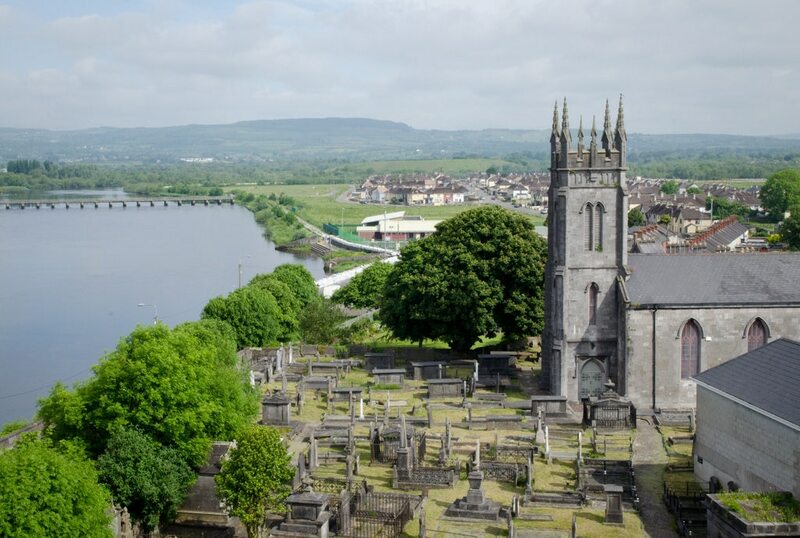 The first is King John's Castle, a fun and interesting place to explore, with the best views in Limerick. And the second is St. Mary's Cathedral, an absolutely stunning stone cathedral dating back centuries. 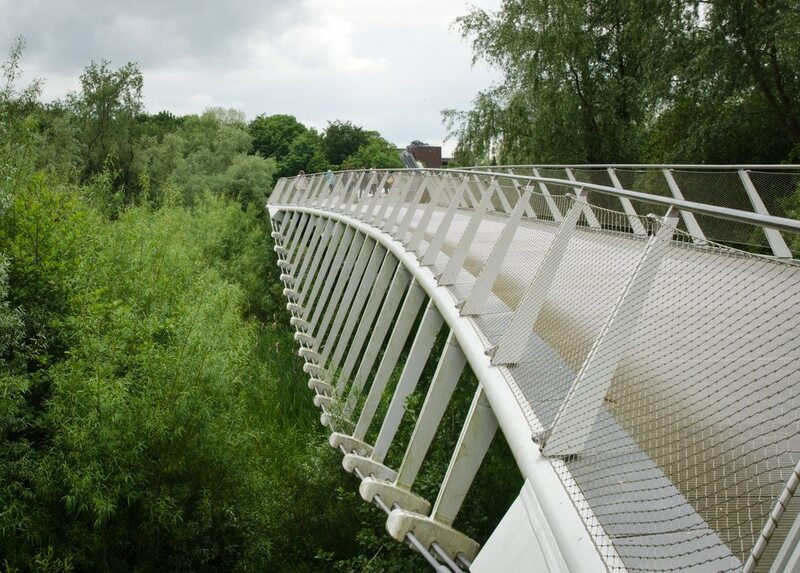 The city is famous for its Georgian architecture, but if you take a walk through the University you'll see an example of the city's modern design, complete with a slightly unnerving wobbly bridge. It's quite far from the centre of town but it's a good place to get away and digest all the art you'll find in the city. If you love art or museums, you will be set for days in Limerick. It's where much of the funds for the City of Culture were allocated and as such there are tons of incredible art exhibits to choose from. For a more traditional taste of Limerick's art scene, take a trip to The Hunt Museum, which has a great selection of crucifixes. The docent there was one of the best museum guides I have ever had. Another notable exhibition is the Eva International Project, which is a presentation of art going on all year, taking place in traditional galleries like the Limerick City Gallery of Art and in non-traditional warehouse spaces. I enjoyed a series of American political paintings by Michael-Patterson-Carver, as well as a display of graphics by Mona Marzouk. If you have time while in Limerick, it's also worth visiting some of the surrounding region. The city is in southwest Ireland and it's a short 20-minute drive from Shannon Airport. It's a gorgeous place and I also spent time in Killarney and Portmagee, which I used as a base to visit Skellig Michael, which I highly recommend. Other nearby destination worth visiting include the Dingle Peninsula, Galway, Cork and the Aran Islands. It's a great road trip destination, especially along the new Wild Atlantic Way, a continuous road that winds along the Atlantic coast from the south to the north of Ireland. If you're an arts lover or a museum-phile, you'll be set for days here! This is where Limerick has been pouring much of their funds for the City of Culture, and as a result, the city is chock full of incredible art exhibits. 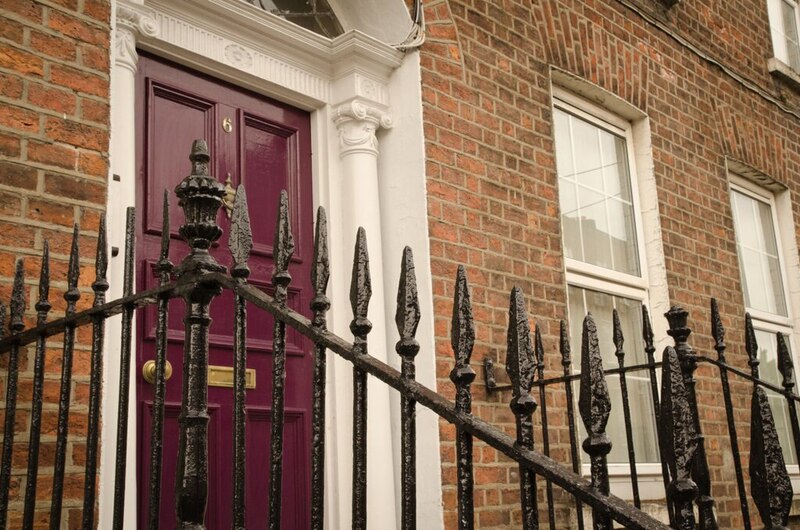 The Hunt Museum is where you'll find the more traditional side of Limerick's art scene. The docent we had was one of the best museum guides I've ever had, and they have a nice collection of crucifixes, as one might expect in Ireland (In fact, the docent and I got into a lively argument over just which country was the first Christian country in the world. I pointed out that it was Armenia, then he said Ireland was the first voluntarily Christian country, and we pondered the question - just what exactly does voluntary mean?). Eva International Project is a presentation of art going on all year, taking place in traditional galleries like the Limerick City Gallery of Art and in nontraditional warehouse space. Moby (for Trayvon), by Mona Marzouk, is a display of graphics that are a take on the justice system and the media. This one is based on the electric chair. A series of works by Michael Patterson-Carver were American political paintings - definitely a surprise to see them in Ireland, of all places! Go self-catering and cook your own meals to save some money, which you can then put towards the performances. Although Armenia was the first Christian country in the world, Ireland was the first voluntarily Christian one (although I debated with the docent The Hunt Museum as to what that actually means). The city is small enough to walk around on foot. It only takes 15 minutes across the whole town. Angela's Ashes spent more than two years on bestseller lists, selling more than five million copies worldwide. It was made into a film in 1999. In my opinion, Skellig Michael is one of Ireland's most impressive sights and definitely something you should plan your trip to Limerick around. Located in the heart of Limerick, this luxury hotel is within a 10-minute walk of O'Connell Street and St. Mary's Cathedral. The Treaty Stone and King John's Castle are also within 15 minutes. This family-friendly Adare hotel is within a 10-minute walk of Adare Heritage Centre and Adare Golf Club. Irish Palatine Heritage Centre and Limerick Racecourse are also within 9 mi (15 km).